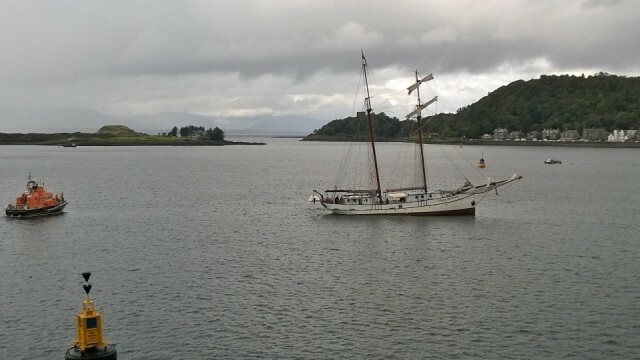 The 2-masted sailing vessel Flying Dutchman ran aground in Oban Bay. The Flying Dutchman had run aground during low tide on a reef locally known as “The Scrat”. The RNLI lifeboat responded to the scene and help disembark the passengers safely. The Flying Dutchman later refloated on the rising tide and was towed by the lifeboat to the pier in Oban. No reports of injuries, damage or pollution.